As dwellings get smaller and smaller, especially in urban areas, the prospect of having a large kitchen with an even larger island is a dwindling dream. But that doesn't mean giving up on having an eat-in kitchen altogether. More and more, retailers are coming up with creative solutions to small affordable kitchen tables perfect for small spaces. Round bistro tables, drop-leaf tables, storage tables, and counter-height tables all provide a different solution for a different type of space. 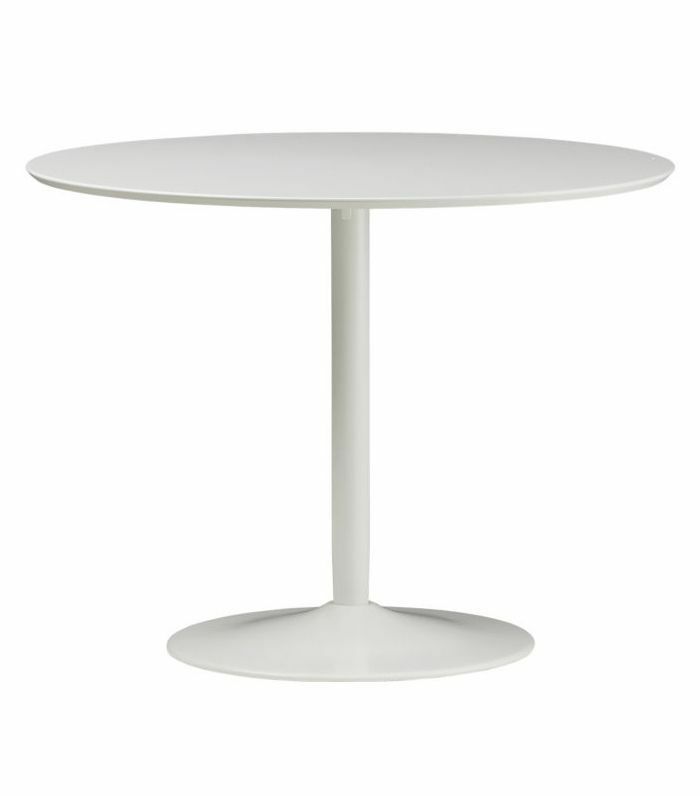 These tables can come especially handy in rental spaces where money and space is of the essence. After all, who wants to shell out thousands for a dining table only to find out that it doesn't fit with the layout of your next apartment? 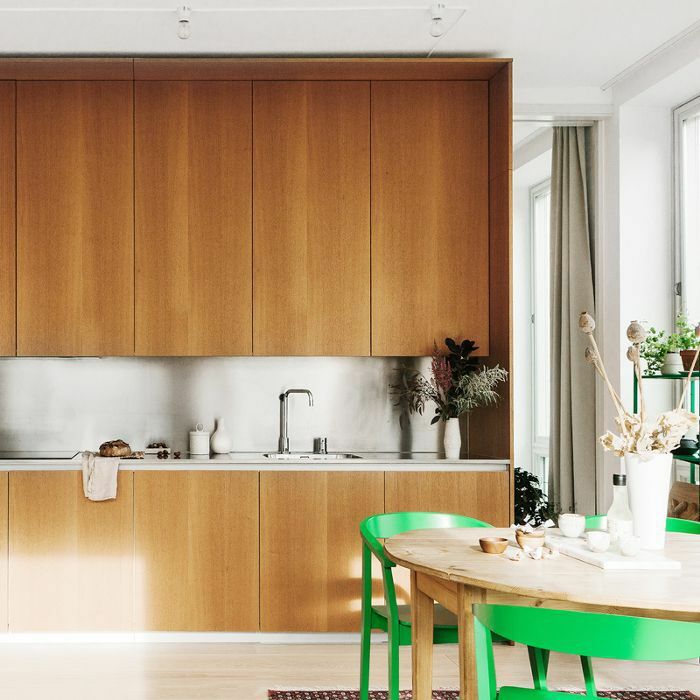 If you're shopping around for an affordable kitchen table, look no further—we handpicked our favorite solutions for spaces large and small. No matter the solution you need, all these tables are under $500, so you'll have money left for chairs. 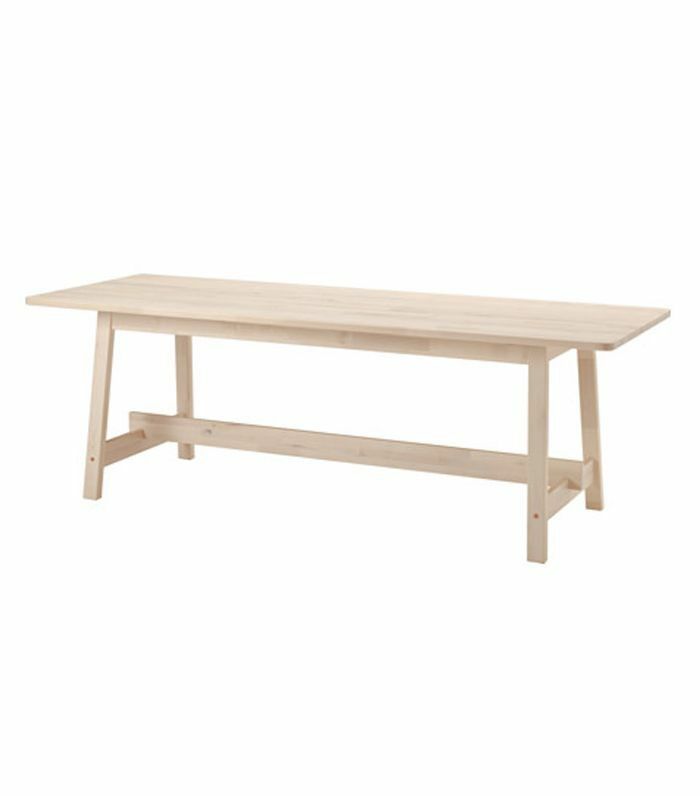 Larger kitchens and even larger families will benefit from this extremely affordable Scandinavian-style dining table from IKEA, which brings high style to modest materials. Designed for small spaces, this drop-leaf table can seat up to six when extended but takes no more than a tiny corner of your kitchen. 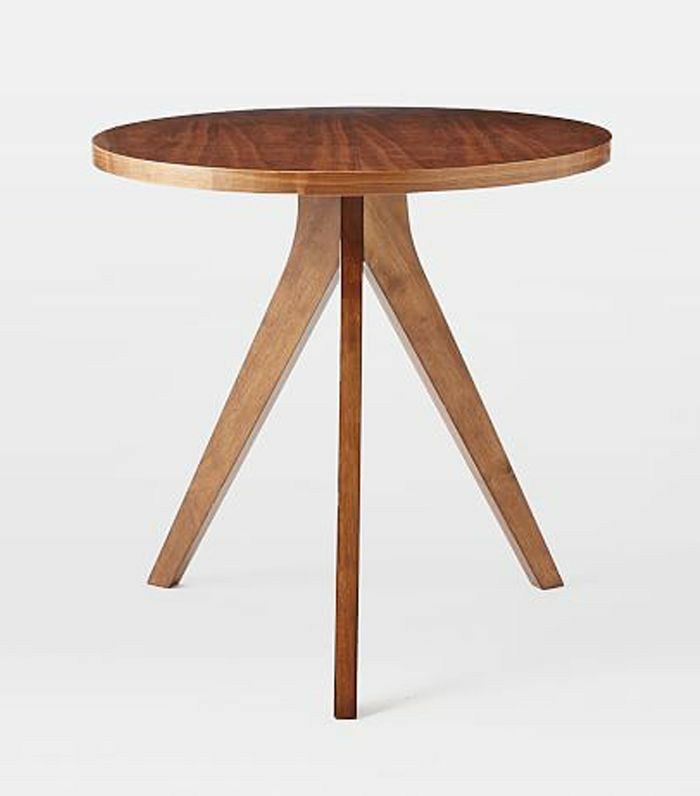 A take on the classic tulip table, this CB2 table is minimal and hardworking. It's suitable in even your smallest of spaces. 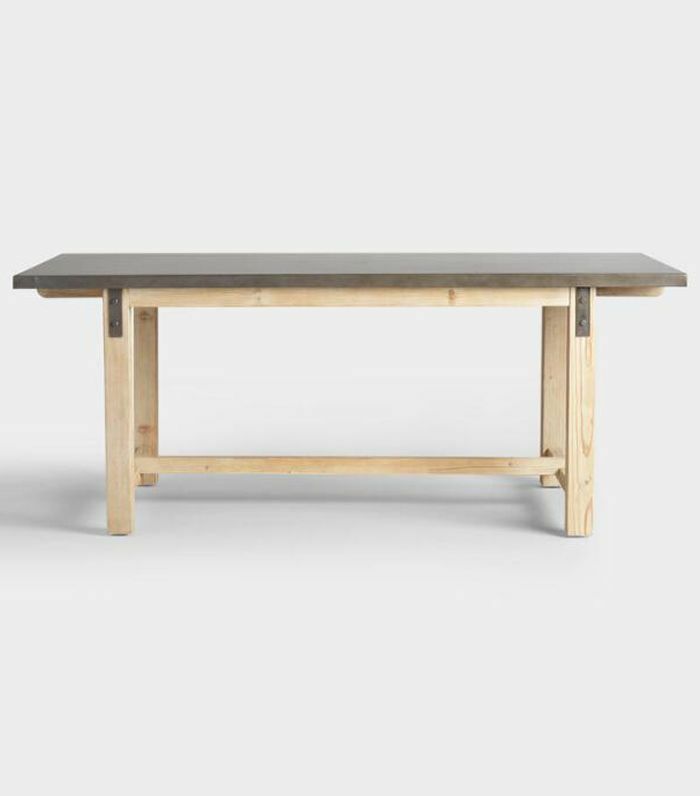 This mixed-media table has a metal-clad tabletop and a white fir frame, giving it a modern rustic edge. It'll seat up to six if your kitchen can handle it. 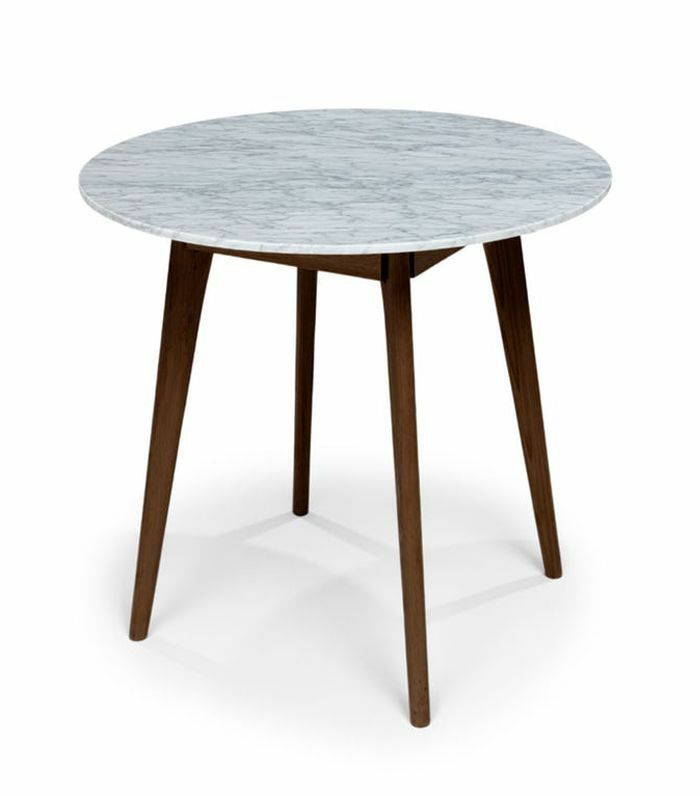 Give your dinner the luxe backdrop it deserves with this marble-top bistro table from Article. 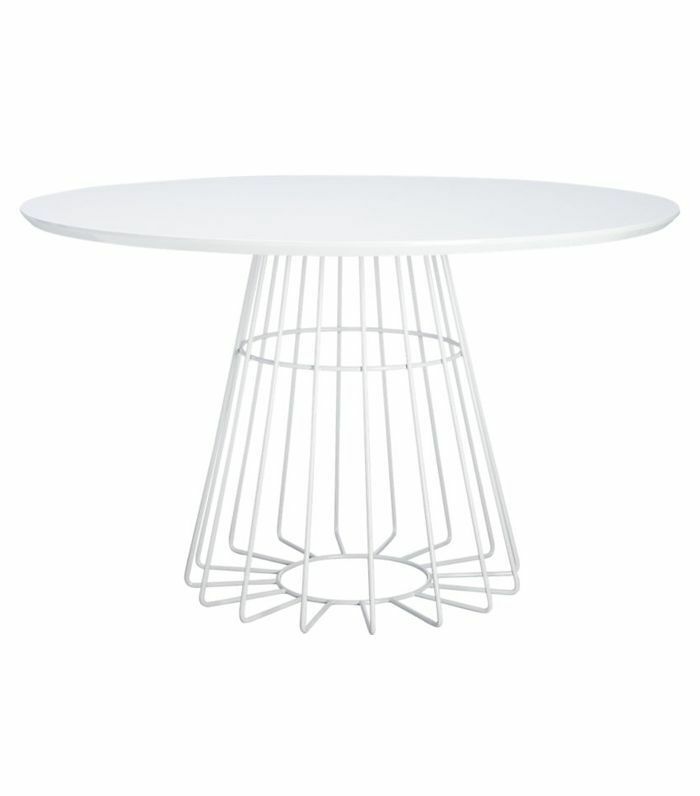 This airy glass table won't weigh your room down. Its transparent frame seems to float within a room and lets natural light shine through. Have a larger kitchen? 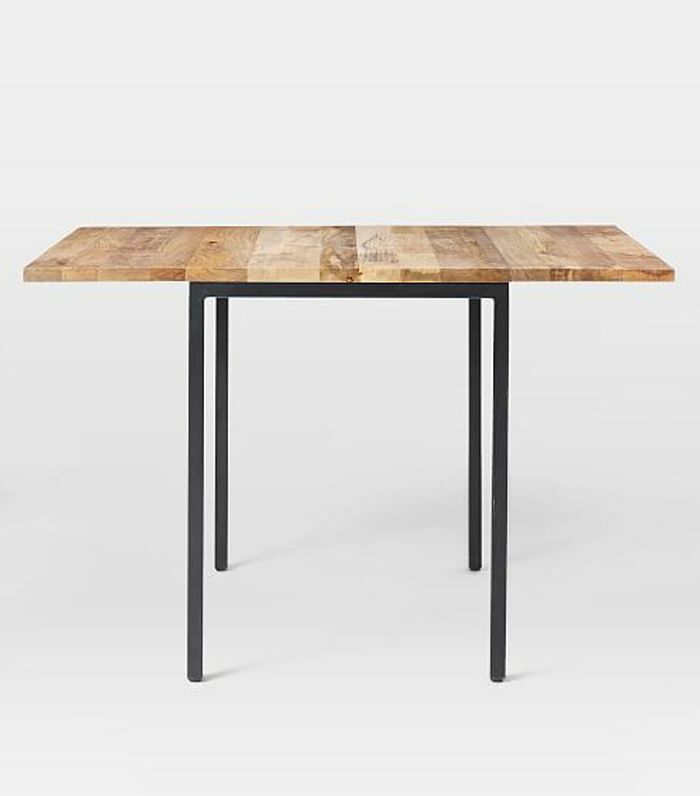 This dining table may seat up to six, but it's still budget friendly. The wire base gives it a sculptural flair. 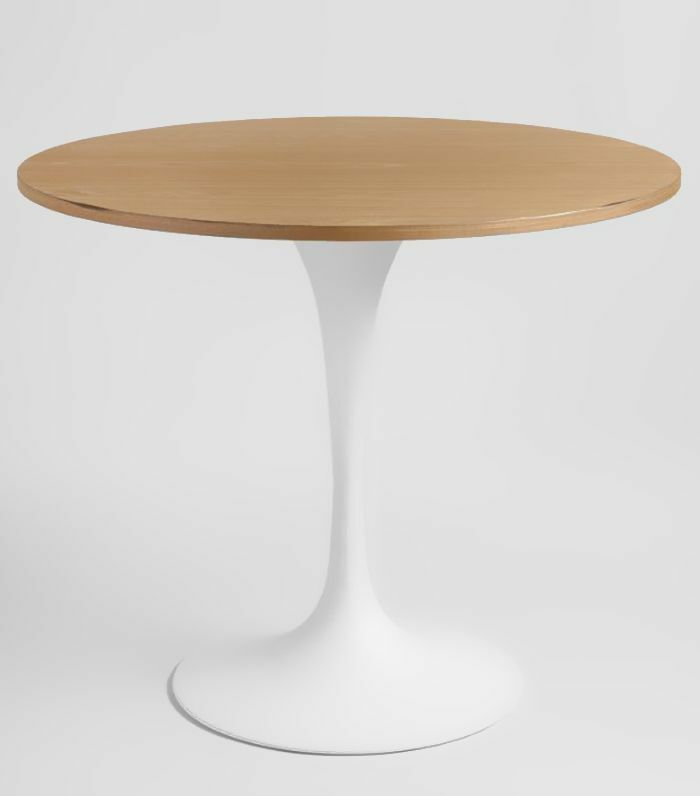 This classic wood and white tulip table pays homage to the Eero Saarinen style (without the price tag). 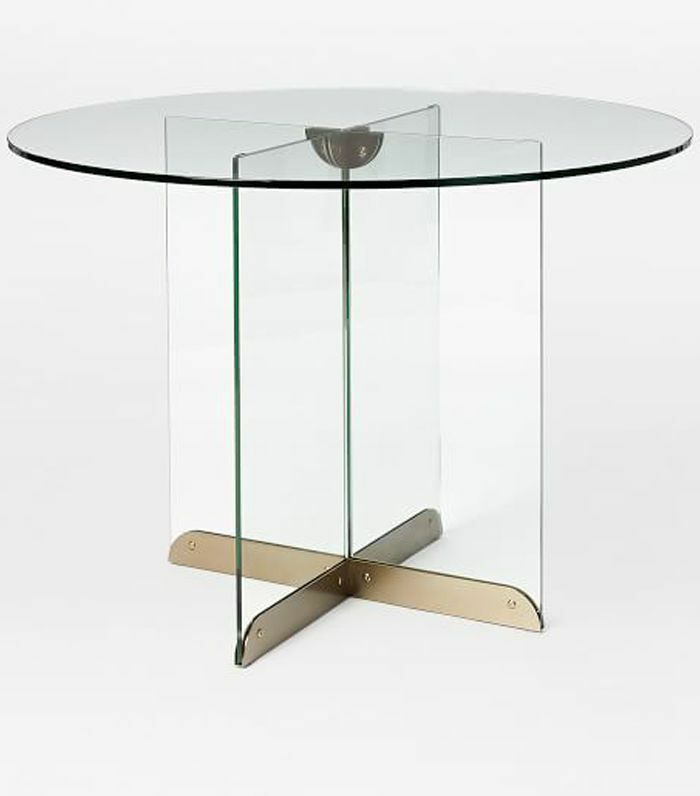 The table also comes in a brass and marble finish. 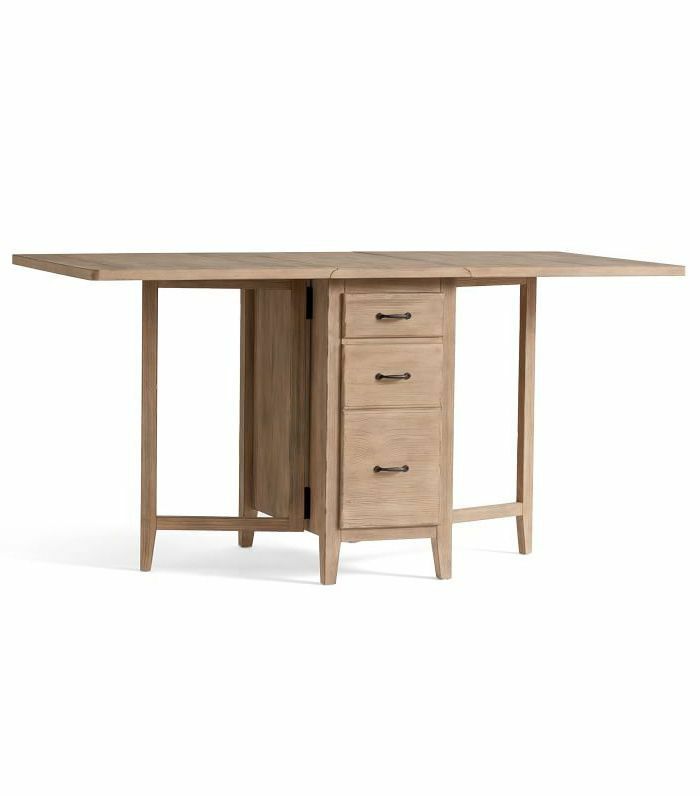 Imagined for small apartments, this drop-leaf table provides storage space and an expandable dining surface all at once. It's the ultimate multitasking piece of furniture. Ideal for tiny spaces and small budgets, this breakfast table seats two or three and will fit into virtually any nook or cranny. Need a surface space that will serve as extra countertops and a place to eat all at once? 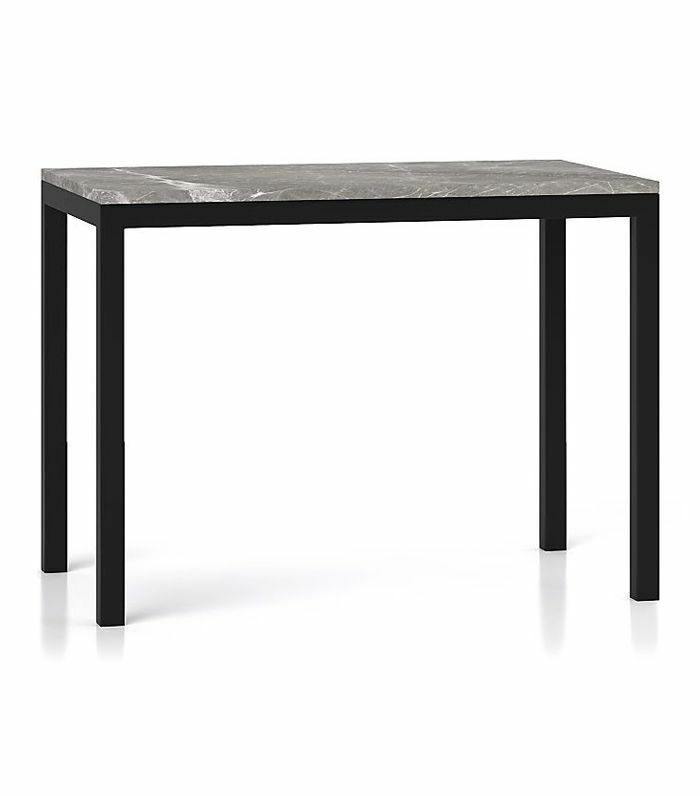 Try this gray marble-top counter-height table from Crate and Barrel. Now you'll just have to track down the perfect chairs to match.